Now that I have shared the new house with you, even without seeing the inside, I'd like to share my home blessing with you. Before we moved our furniture in, I did my space clearing spell to get rid of any lingering energies and what not. Since the energy of the house was already stirred up from the past owner moving out just hours before, I did a light cleaning and started the ritual without clapping or ringing a bell. Unfortunately, I was alone during this ritual so I don't have any pictures. 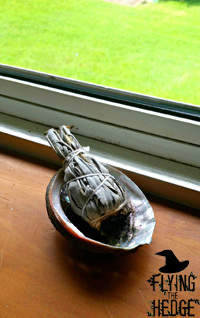 I will tell you I bought a beautiful new white sage smudge and a shell to go with it. For my blessing, I used a premixed loose incense from my local metaphysical shop. It's called Blessed Space and contains a mixture of white willow bark, myrrh, jasmine, rose bud and petal, clove, ginger, orris root, dandelion, and blessed thistle. Quite a potent mix. Each of these has very specific qualities to bring to the blessing. Willow bark is a traditionally used in blessings while myrrh lifts vibrations and jasmine and rose to bring love and happiness into the space. Clove and ginger are burned for protection (and also exorcism but we won't talk about that). Ginger also brings success, happiness, and prosperity along with orris root. Dandelion and blessed thistle expel negative energy and purify the space. To begin I charged all my objects with their intent, including the piece of charcoal I was using. This is the first time I have used charcoal and it took me a bit to get it to light with a match (6 matches actually). 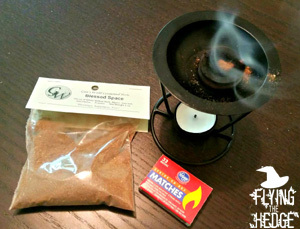 Once lit, place a spoonful of incense on the charcoal and waft until it billows smoke. Proceeded clockwise around the space while chanting "Smoke of Air and Fire of Earth, Cleanse and bless this home and hearth. Drive way all harm and fear; only good may enter here." Visualize the house filling with a warm pink and golden glow of love, prosperity, and happiness. 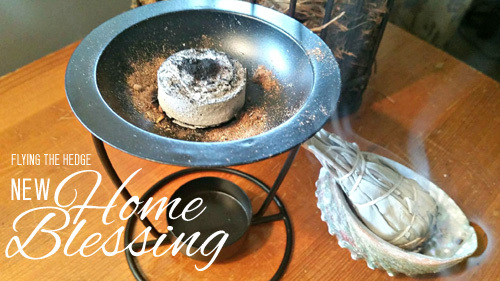 Allow the incense to burn completely down or douse with water. Bury the remains in your yard or discard them in the trash. You may want to carry the loose incense with you while you do this ritual. I had to add more twice to make it around the whole house. This incense smelled amazing. I could feel the mood of the house change almost immediately. 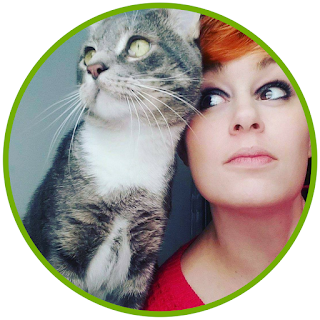 It was a very beautiful and personal ritual, even if it didn't involve a bunch of work. Good luck blessing your own home! May it bring you the peace and happiness it is bringing me. I habitually bless my home (also an old house that has only been in one family until we bought it) and cleanse it when I feel the energy change. Thanks for reminding me of the properties of ginger and clove. I added them to my candle work that I do each morning.